My TeamDesk page is the first page that you see when you sign in. 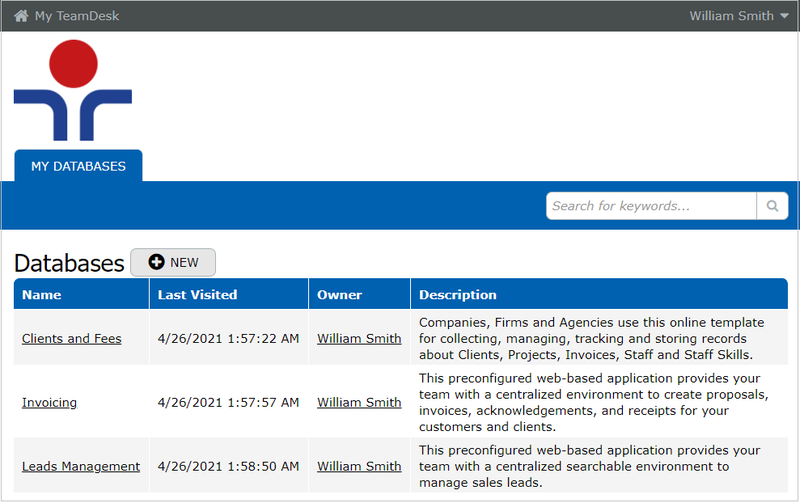 This page is the hub of your TeamDesk activity and displays all databases you have accessed. Also, from this page you can control your account, set personal information and create new databases.